Crates Local is situated in a prime location in Horsham Town Centre. 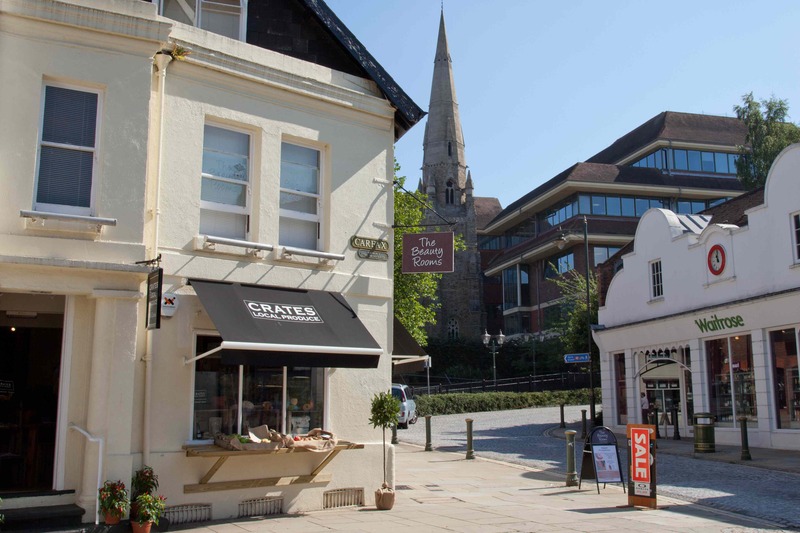 It is a natural addition to the growing list of great independent food outlets and amazing wealth of fabulous restaurants including Michelin star Tristan’s. Our customers demand quality, local and fresh produce on a weekly basis. A natural addition to Crates is our Coffee Shop, serving amazing coffee from Horsham Coffee Roaster and speciality teas from Bird&Blend and Tea Huggers. All of our pastries, sandwiches and soft drinks are of course made up from the local produce we already have in the Crates Local shop. In the summer we create tasty salads featuring the famous Nutbourne tomatoes and during winter we switch to nourishing daily soups. 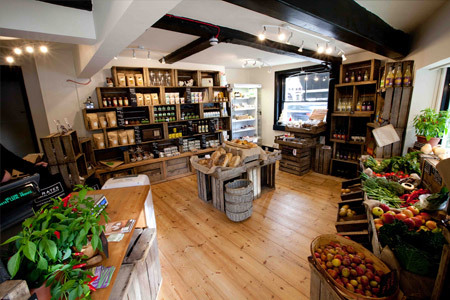 The choice of produce available from the shop is extensive from fruit and vegetables, artisan bread, dairy, cheese, eggs, cakes, soft drinks, jams, chutneys and even handmade chocolate. The shop also boasts a fine range of local wines from Bolney Wine Estate, beers from local breweries such as Hepworth , Loud Shirt and Firebird, ciders from Wobblegate, Garden Cider and Trenchmore Farm‘s Silly Moo. Gin has become one of our most popular draws and we proudly serve some of the best gins (and vodkas) in the South with tasting always available upon request. Our main stays on our crates include Brighton Gin, Horsham’s very own Cabin Pressure, Foxhole and Chilgrove – both their Dry Gin and Bramble. Other wonderful creations include three from The Gin Kitchen; Gutsy Monkey, Blushing Monkey & Dancing Dragontail together with Pure Sussex and Sussex Blue from Harley House, a trio from Sherlock & Sons, the Greensand Ridge collection, Jarrold’s including their magnificent Limited Edition Sloe, Generation 11, Hidden Curiosities, three from Corner53, Chichester Harbour, Madame Jennifer’s duo and various limited releases from Silent Pool. There is also an ever changing selection of guest gins from all four corners of the UK. Try adding Regency Tonic to the mix for a truly superb drink, available to take home.